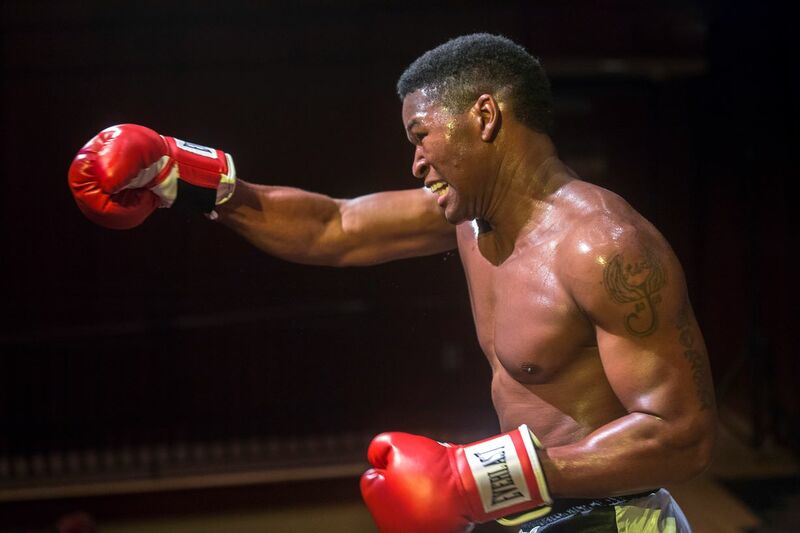 Rob Demery is set to star in the upcoming production of Fetch Clay, Make Man as the infamous Muhammad Ali this coming Fall at Kenny Leon’s True Colors Theatre. He answered a few questions in regards to the story of the show and how he’s been getting ready to play the role of one of the world’s most legendary boxers. Fetch Clay, Make Man opens on Tuesday, October 27 at the Southwest Arts Center in Atlanta, GA. Tickets for all showings are on sale now at ticketalternative.com. How are you preparing for your role as Muhammad Ali? Actors are expected to learn lines, that’s a given. Although, I’ve done my character and textual analysis from reading the script several times, I’ve also focused on building chemistry with my cast mates. The talented Danielle Deadwyler, playing my wife Sonji, and I have been on a few dates. Meanwhile, our whole cast will have lunch this upcoming Tuesday. Research is key. I’ve watched over thirty hours of footage on The Champ. I recently ordered three books that I plan to read by the first rehearsal. My goal is to discover Ali’s life when cameras are turned off. My wife and I are visiting the Muhammad Ali museum next Saturday, in Louisville, KY. I’m sure the trip will enhance my preparations for playing Ali. So yea, the living legend must be represented to the fullest, and I owe it to him to give this role everything I have. I’m committed to honoring The Greatest of All Time! This story is important to me because it touches the lives of two iconic figures (Step and Ali) that have caused positive change for all Americans. Whether people know it or not, these guys made sacrifices that many people wouldn’t have the guts to embody. What do you think the audience will get from this story? Courage, loyalty, respect, dignity, self-pride, and a fight for equality are all explored in Will Power’s marvelous literature. The text really jumps off the page. The audience will gain insight into the lives and journeys of these two great men during pivotal moments in their lives. I hope many actors will come out to see the play and gain a new appreciation of who Stepin Fetchit truly was and all that he represented. It’s people like him who created the lane for me to play Ali, today. This play is the definition of passion. A must see, come witness it for yourself. For more information about Fetch Clay, Make Man please visit truecolorstheatre.org.